Cape Cod Cleaning » Commercial and residential cleaning services, one time or regularly scheduled cleaning including rental turn over cleaning and maid services. Also specialty cleaning, chimney and gutter cleaning. 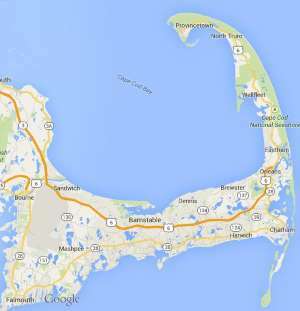 Free estimates from local Cape Cod cleaning companies. Get quotes on your cleaning project in Barnstable, Brewster, Bourne, Chatham, Dennis, Eastham, Falmouth, Harwich, Mashpee, Orleans, Provincetown, Sandwich, Truro, Wellfleet or Yarmouth, MA. Commercial and residential cleaning services, one time or regularly scheduled cleaning including rental turn over cleaning and maid services. Also specialty cleaning, chimney and gutter cleaning. We have an Airbnb property in Dennisport. we have renter through the end of the year. Looking forward to seeing if you company is a fit. Summer weekly cleaning with trash removal. The rest of year as needed with trash removal but at least once a month. 5 room house one bath. Saturday Turnover cleanings throughout the summer. Check in is 2pm and Check out is 10 am. My family has two rental properties. Six rooms plus three baths in a cape in Falmouth. I am looking for dependable turnover cleaning this summer.